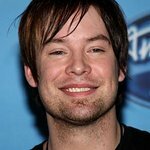 American Idol winner and platinum selling recording artist David Cook, performing at a benefit concert at Jammin Java in Virginia on December 2nd, celebrated reaching a $1 million fundraising goal for brain cancer research with his fans across the globe. Since 2009, Cook and his fans had raised $930,000 for brain cancer research through the Race for Hope DC and various other events. In November, Cook set a goal of raising the remaining $70,000 to benefit Accelerate Brain Cancer Cure (ABC2), a venture philanthropy organization. Cook is putting the finishing touches on a new album and the first single, “Wait for Me,” is available on iTunes and other digital retailers. Cook and his fans will continue fundraising when they participate in the 2015 Race for Hope on May 3, 2015 in Washington, DC, which benefits Accelerate Brain Cancer Cure and the National Brain Tumor Society.